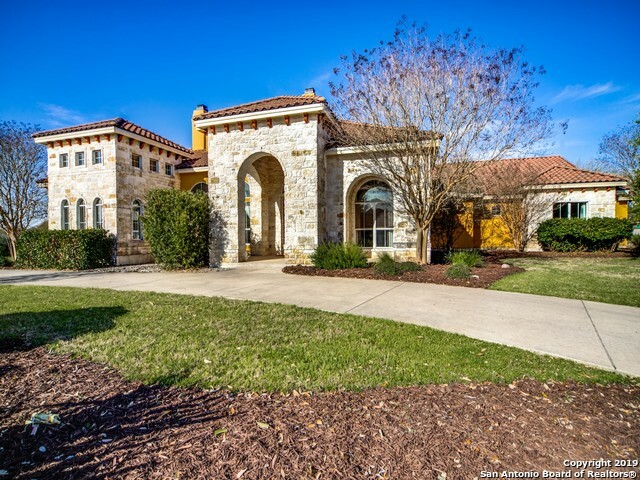 All FAIR OAKS RANCH homes currently listed for sale in San Antonio as of 04/20/2019 are shown below. You can change the search criteria at any time by pressing the 'Change Search' button below. 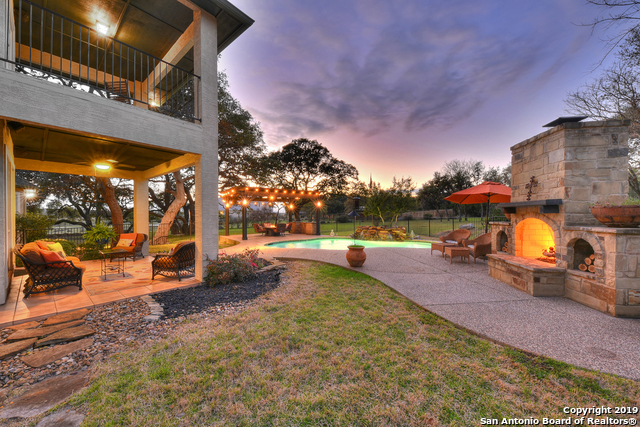 "Private, gated estate on 14+ acres with unobstructed views of the hill country. Well thought out floor plan perfect for indoor/outdoor entertaining. Private guest wing. Separate Media Room. Walk-in wine room with temperature control. High ceilings with custom beams. Custom cabinets and storage throughout the house. 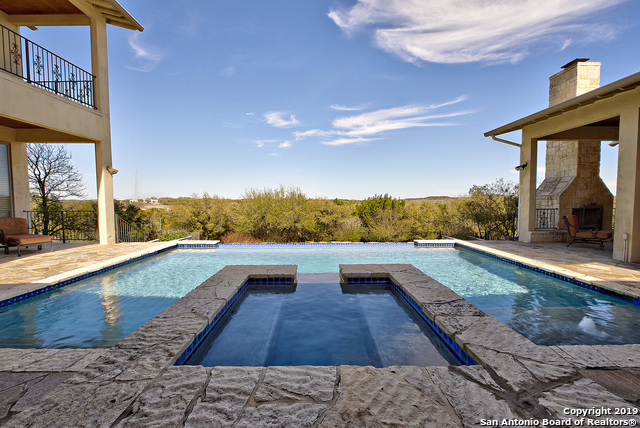 Large windows along the entire back of the house giving views to the pool, outdoor fireplace and hill country. Sports Court. 9 miles to La Cantera. 4 miles to I-10." "The essence of Texas Hill Country living. 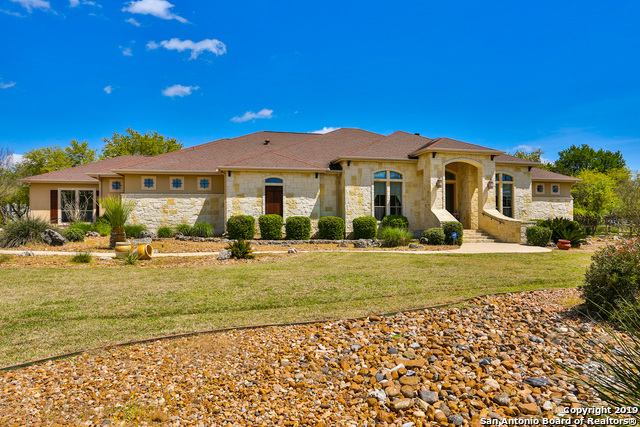 Fabulous one story rock home built-in u-shaped with living room and master bedroom built to look out to a fabulous pool, outdoor kitchen, a horse barn, and scenic acreage. The kitchen is just stunning and other amazing features include a guest suite above the garage. 3-car garage but also a separate building for a motor home, car lifts or even two boats, 5 stall horse barn with a BARN-DOMINIUM and CHICKEN COOPS. Gardens are ready for spring vegetables." 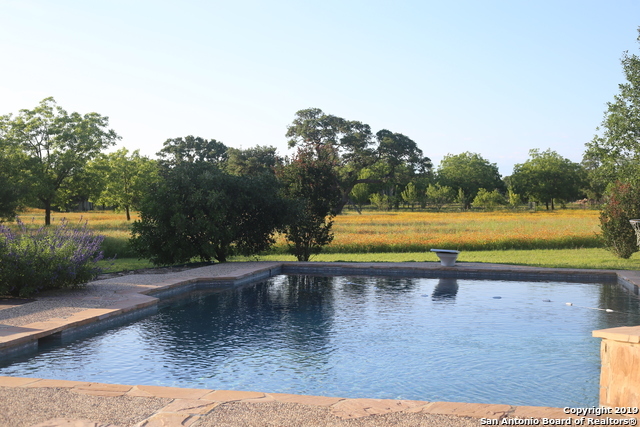 "True Equestrian Property with 12+Acres -Original windmill & cistern from Ralph Fair Ranch. Light filled open floor plan. Spacious living with fireplace & wet bar,chef's kitchen adjoins the breakfast area & overlooks the pool. Game/Media Room up. Party pavilion, pool, spa, firepit, outdoor fireplace for entertaining. 48x20 WorkShop w/additional 2car parking. BarnMaster RCA 6-stall barn with turn-out pens. Pecan orchard. 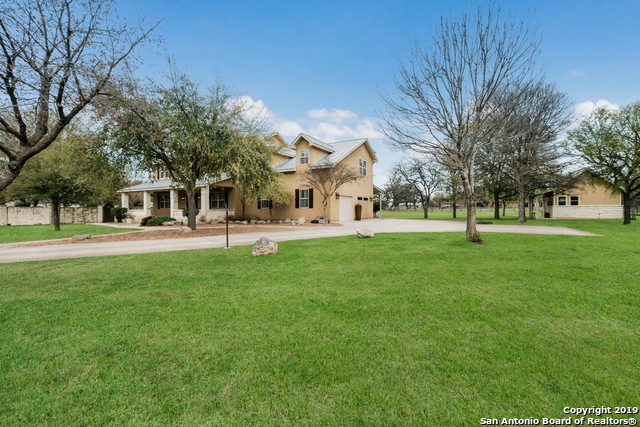 Level pastures,riding arena has soft natural footing .Easy access to Fair Oak"
"Exquisite gated estate in Fair Oaks Ranch. This incredible property sits on 6.6 acres, 6,690 sq.ft. with 4 bedrooms/4 full baths in main house and a separate casita. 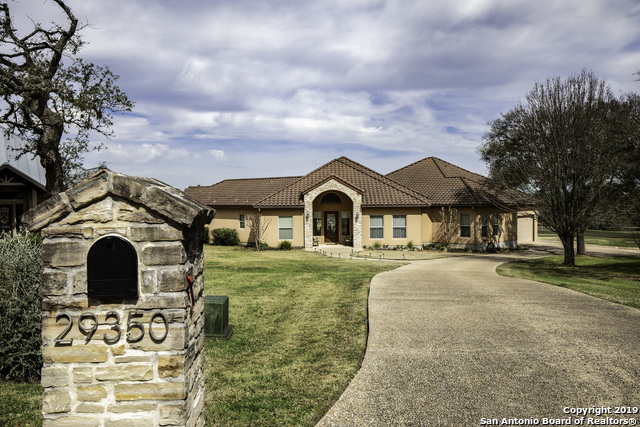 This property includes everything, gated entry, 25ft ceilings, grand style entry, gourmet kitchen, wet/dry sauna, steam shower, two-story master, two wrap-around porches, indoor dog kennel, office, gym area, 2 game room areas, NEW ROOF, and horses allowed. For those seeking privacy and high-end luxury, this is the property for you." "Drive down Saratoga Ln in Fair Oaks Ranch & follow the weaved brick pattern driveway into pure luxury.With over 4,000 sq ft,this 18+ Acre property is the definition of lavish comfort & is perfect for horses! As you make your way to the entrance & through the beautiful wooden door,you are greeted by a collection of rooms that effortlessly come together.Many details make this home inviting & unique:Large windows throughout each room,vibrant spaces full of natural light,high ceilings with recessed "
"This elegant, custom home is situated on a prime golf course lot at Tee Box 2 of the Live Oak Course at Fair Oaks Golf & CC. Large corner lot on private cul-de-sac shaded by oaks. Each spacious bdrm has its own full bath & walk-in closet. Home features custom wood built-ins & 4 bdrms or use 4th bdrm as Bonus Rm. His and Hers Garages! Two separate 2-car garages at opposite ends of house, plus a circular drive. Enjoy relaxing by the pool & spa with views of the golf course. 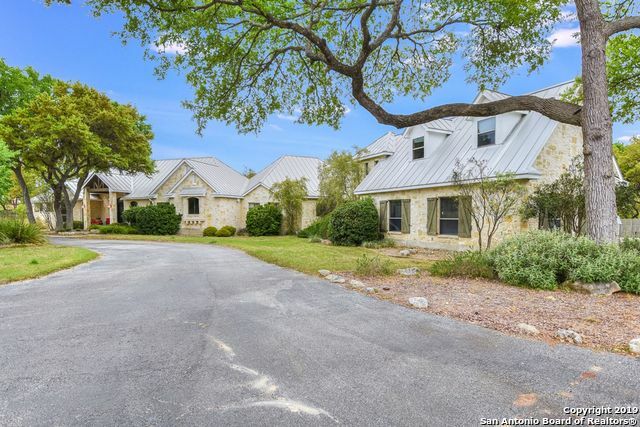 Award winning Boerne I"
"ONE-OF-A-KIND * 4 BDRM / 6 BATHROOMS / POOL / STUDY / GAME RM / 5537 SQ FT ON .73 ACRE YARD W/CENTURY OAKS * 4 BDRMS (4 FULL / 2 HALF BATHS) * OPEN FLOOR-PLAN * HIGH CEILINGS * TRAVERTINE FLOORS * 60 BUILT-IN REFRIGERATOR * JENN-AIR GAS COOKING * LARGE ISLAND & GATHERING AREA * ELEGANT MASTER SUITE (26' X 20') W/ FIREPLACE * OVER-SIZED HIS & HERS CLOSETS * JACUZZI TUB * LRG WALK-IN SHOWER * HUGE BACKYARD * POOL * GROTTO WATERFALL * OUTDOOR KITCHEN (SINK/GRILL/FRIDGE) FLAGSTONE PATIOS & VIEWS * A"
"Located in guard gated Raintree Woods of Fair Oaks Ranch, beautifully appointed 5 bedroom, 3.5 baths, 2 story retreat with sweeping stair case has luxury heated pool and spa with paradise backyard to relax in after a long day at the office, master down w/whirlpool tub, large media/gameroom down; kitchen has Thermador appliances, granite counters throughout, wet bar with wine racks, loft, 2 beds and full bath up, balcony access to pool, new metal roof 03/2019 and so much more, a must see for any "
"Single family owned, Trinity Custom built, Hill Country home with too many upgrades to include all! High ceilings, tons of natural light, 1.99 acre lot, heated pool/spa & a screened-in porch perfect for entertaining. Chef kitchen w 6 burner gas cooktop, double ovens, butler pantry & granite. Large master w exterior access, multi-closets, and huge bath. Secondary bedrms w own bathrooms. Large gamerm & office. Central Vac, In-Wall Pest, Greenhouse, 2 raised gardens, RV Pad & the list goes on. 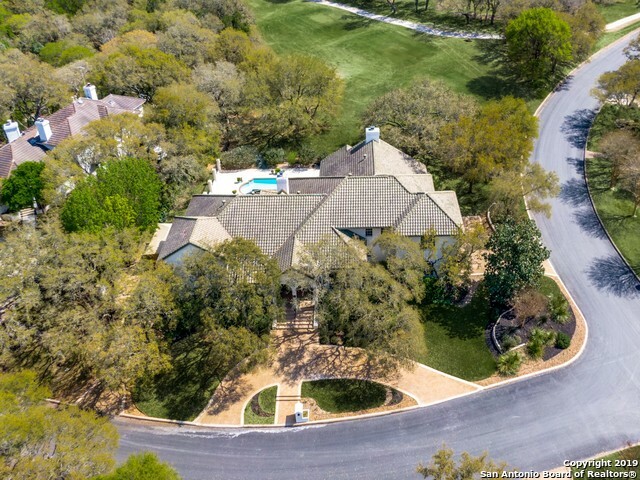 A mu"
"Magnificent Hill Country Estate situated on 5 acres of manicured grounds boasting a pecan orchard! Private gated entrance. Master wing w/ study & file closet. Nicely updated this home is perfect for a family. Light & bright & cozy with lots of windows. 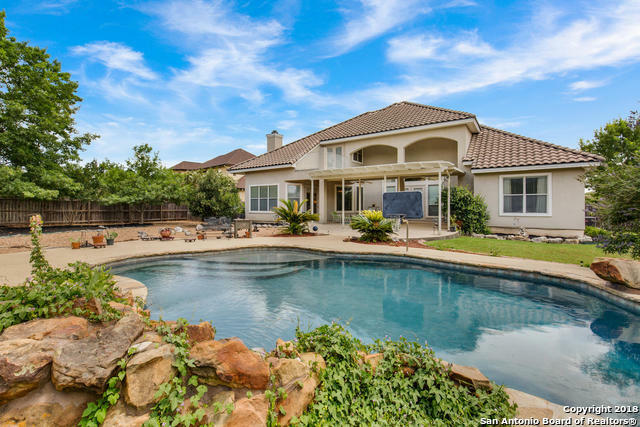 Enjoy the outdoors in your own pool & spa or by the firepit watching the spectacular sunsets! Kitchen is well appointed w/quartz counters & induction cooktop Hardwood floors. Mother in Law suite. Highly acclaimed Boerne Schools. Spring Wild"
"Fair Oaks Playground on 1.98 Acres! 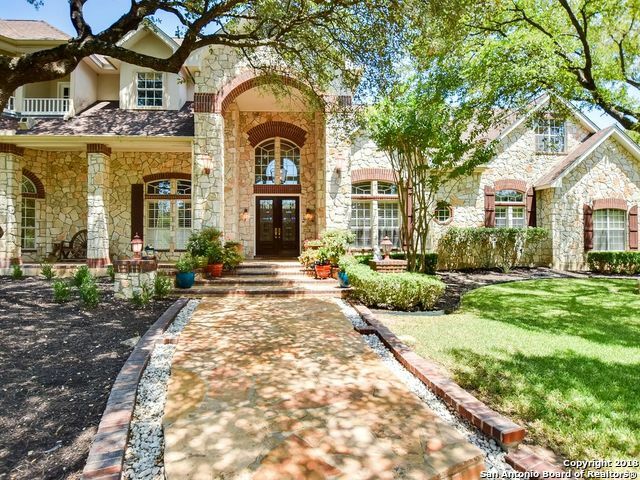 This house is so unique Hill Country Flair meets Modern w/built-in's & special touches throughout! 4/3 with a playground for your family inside & out! Large gameroom up w/private spaces galore -down a converted space is ready for art, pool table or use your imagination - window seat and all! Living area down is open & bright w/fireplace, eat-in bar, coffee bar,& wine bar! Master is spa-like w/patio! Backyard is private w/serving bar, frig, fire pit & workshop!" "Tastefully, & uniquely renovated & rearranged floor plan located on a prime golf course lot w/ exceptional golf course & water views. Enjoy deer, golf, & water fowl from the comfort of your living room. Custom homebuilder touches you will not see elsewhere. 4 bdrms, office, wine room constructed of reclaimed wood & formal dining. 3 bdrms upstairs with loft/game room. Open kitchen w/ beautiful custom crafted maple island/bar & counter to ceiling backsplash w/ modern touch. Beautiful slate floorin"
"Enter the private gate to this gorgeous custom one story home perfectly positioned on over 2 acres. You will be amazed by the ceiling height and large rooms. The property has an in-ground pool/spa, 5 stall run in barn, turn out pasture. The kitchen has Kitchen Aide appliances to include: over-sized refrigerator, double ovens, dishwasher, and separate ice maker. Roof installed Oct. 2018 Lg covered patio is perfect for entertaining. Third bathroom has a steam shower and door to pool. This is a mu"
"Fully updated 4/2.5 1-story home (no steps) on exceptional lot. 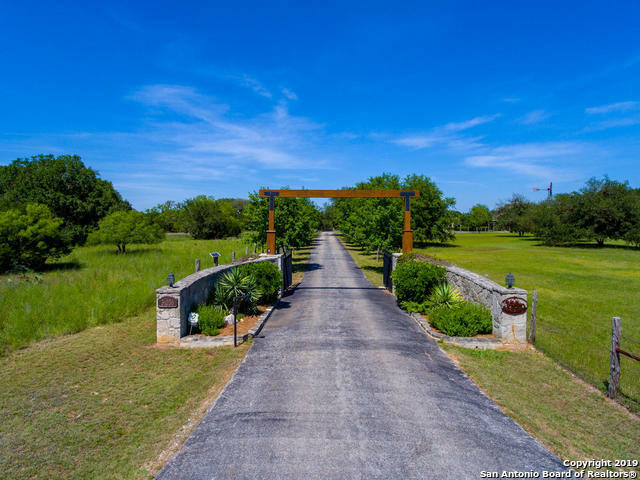 Overlooks the only permanent water frontage in Fair Oaks Ranch on the Cibolo Creek as well as hill views. Beautiful wood floors in living/dining. Master Bdrm w/ outdoor access, spa-like bath & large closet. Livingroom overlooks incredible backyard that's perfect for entertaining; large covered porch, BBQ, propane fire pit, pool/spa & putting green. Office/craft room off of utility. Wrought iron fencing & electric gate. Under recent "
"Welcome to your gorgeous 4BD/3.5B Custom Built Home, 1.78 acres surrounded by 80 mature oaks & serene backyard oasis.! This stunning home feat. lots of nat. light & decorator's touches throughout, soaring ceilings, exquisite wet bar, custom cabinetry & custom mantle above frplc. Relax in spa-like master bath & expansive 314 sq ft dressing room. Resort like living w/large covered patio, gazebo, pool, wood burning frplc & Bose speakers. Private 1BD/1.5B, 1035 sq ft GUEST HOUSE perfect for family &"
"Gorgeous two-story 3 bed/4 bath/oversized 3 car garage w/side entry, circular drive on cul-de-sac in Fair Oaks Ranch. Kahrs wood flooring accents the entry, study, formal dining room & gallery. Open concept gourmet kitchen w/breakfast bar, center island, granite countertops & cherry-stained cabinets. Family room has elegant fireplace. Master bedroom retreat features fireplace, coffee bar & secluded patio. Game room upstairs. Covered porch w/resort-style pool & spa. Exemplary Boerne ISD. WELCOME "
"Contemporary style home nestled on a quiet loop w/in the Golf Course on a hill w open green space overlooking a pond, the 16th green & 17th tee box. 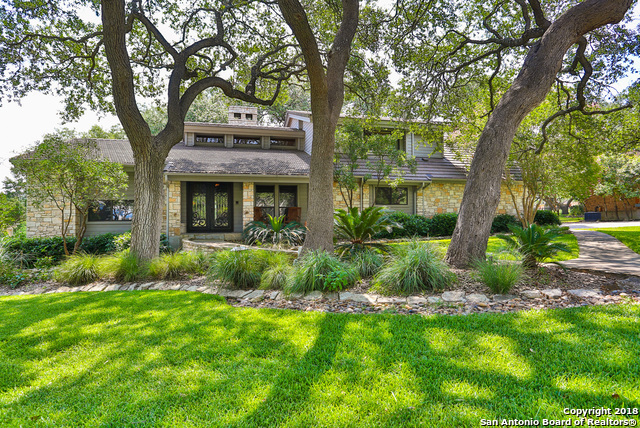 For this home, the rolling terrain & surrounding canopy of century-old live oaks provide both safety & privacy. The home is updated to meet current market expectations & remodeled w significant custom finishes & structural changes. Indoor living areas offer open concept style, seamless flow w the outdoor over-sized entertainment, dining & observat"
"Unique use of materials, use of space and design. Step in to the front gallery and look through the enormous living/dining area to sloping,treed back grounds with plenty of room for a pool & located on the Blackjack Course of the Fair Oaks Ranch Golf & CC.Notice architectural antiques & handmade pieces used as special touches(a list of these is available upon request.) Take the Virtual Tour-Feast your eyes on near perfection! A property of this category rarely comes to market. Enjoy!" "Spacious & Open home perfect for entertainers. One Story living w/Casita and Courtyard offers easy living w/huge yard. Entertaining is fun w/Pool, Outdoor Kitchen and the Open flow floorplan. Master situated in private wing w/Dual Closets; 3 secondary bedrooms in opposite wing & casita bedroom has sep. access. Game/Media room is located upstairs & offers attic access & preplumbed for bath. Massive level yard perfect for sports & outdoor living. Located in Deer Meadow w/Country Club avail. 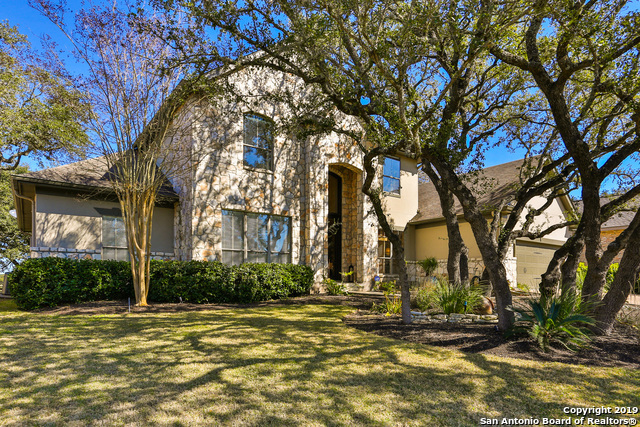 Boerne"
"OPEN HOUSE 4/14--2-4pm! Gorgeous 1-story 4BR/4BA custom Mediterranean on .83 acres + 800sf of outdoor living space w/pool/spa & rock fireplace! Beautiful entry leads into dining room, wet bar, & large study w/built-ins. Vaulted beamed living room w/rock fireplace & wood floors. Island kitchen w/walk-in pantry, wine storage & bar. Exquisite master bath walk-in shower w/dual heads, jetted garden tub, & dual vanities. Large secondary bedrooms. Oversized 3 car garage. Exemplary-rated Boerne schools!" "Private Cul-De-Sac Beauty! 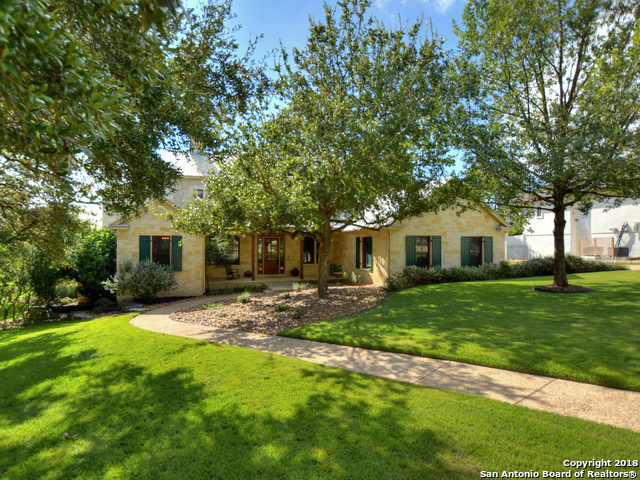 This remarkable one story ranch home sits on close to 1.5 acres in Fair Oaks Ranch. Inspiring layout that's seen as one of a kind with vaulted ceilings, slate floors, granite countertops and a kitchen designed for Entertaining! Sit at the 17ft bar or walk out the double doors onto the composite deck overlooking a beautiful pool. Two distinct outdoor spaces provide either a warm patio for guests with a fire pit or a deck for pool fun in the sun. Remodeled in 2016"
"Custom single-story, 3 bed/2.5 bath w/large office that can be a 4th bedroom and a fabulous attached apartment w/a full kitchen, living space and bed/bath. Main house is 2848, apartment is 617 for a total of 3465 in coveted Deer Meadow Estates of Fair Oaks Ranch. Open floor plan w/kitchen open to living and breakfast area. Elegant master bath with separate tub/shower and double vanity. Large covered patio w/mature trees and outdoor kitchen. Exemplary rated Boerne schools. WELCOME HOME!" "Striking Mediterranean Custom on .62 acre corner treed lot in Deer Meadow Estates! Traditional elegance with entry flowing into soaring ceiling living & dining with hardwood floors and opens to covered outdoor living. Chef's kitchen, breakfast and family room are all open to each other making it an ideal gathering place. Private master down with his/her closets, spa bath and patio access. Two additional bedrooms down with 2 bedrooms & a study up. Balcony overlooks the sparkling pool and parklike"
"Awesome Golf Course Home on Live Oak Course at Fair Oaks Ranch CC. One Story with 3185 sf, 3 BR, 3 Full baths, with Open Floor Plan Views of the Golf Course. With 20 Tiles and Beautiful Wood floors in the Main Living Areas. This Home is set up for the Entertainer with Cedar ceiling Outdoor Patio w/ over 600 sf. The kitchen has Granite tops, SS Kitchen-Aid and Jenn-Air appliances including Ice-Maker and Wine fridge. Catch the Sunsets every night! A Must See Home !!"